Created by The Native American Women’s Health Education Resource Center (NAWHERC) and designed by Lucy Bonner, and conceptualized and designed as part of our Ms. Foundation fellowship program via PETLab., “What To Do When You’re Raped, An ABC Handbook For Native Girls” is an illustrated guide created to answer the questions women face following a sexual assault, from thinking through buying emergency contraception, to getting tested for STDS, to who to turn to for support. 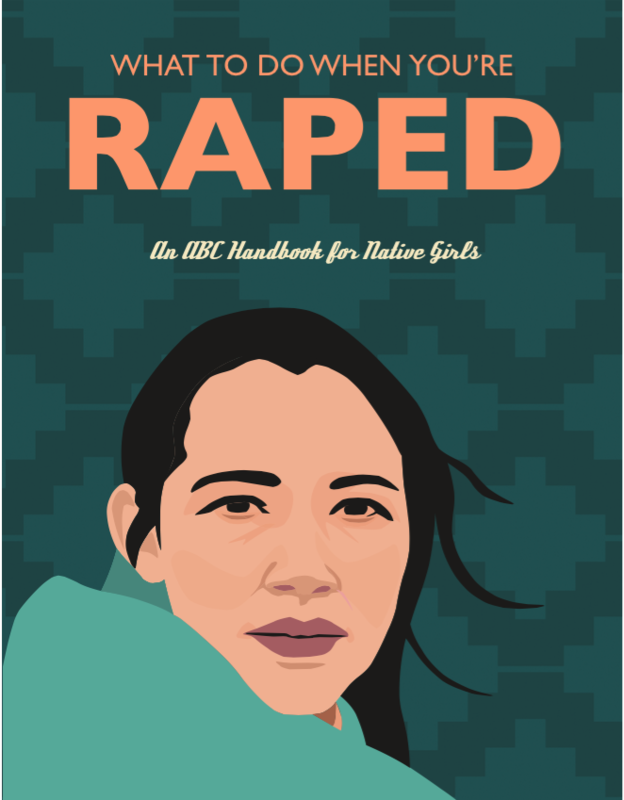 The ABC handbook was created as a response to the systematic sexual assault Native Women experience. Native Americans are raped at a rate nearly double that any other race annually – 34.1 percent. More than 1 in 3 Native American women will be raped in their lifetime, and three-fourths having experienced some type of sexual assault in their lives.